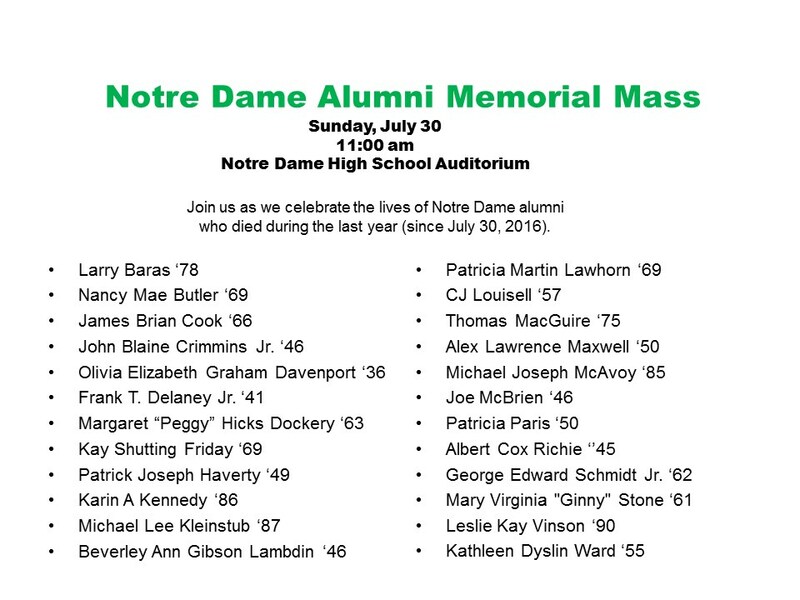 Join us in celebrating the lives of Notre Dame alumni who passed away during the previous year. Attendees who lost a love one are welcome to bring a photograph to display during the Mass. There will be opportunities throughout the weekend to add names to the Alumni Memorial Book. The Memorial Mass will be held on the Sunday of Alumni Weekend starting at 11:00 AM in the NDHS Fine Arts Auditorium.